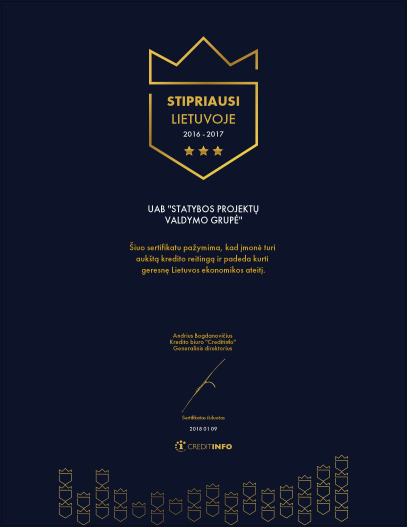 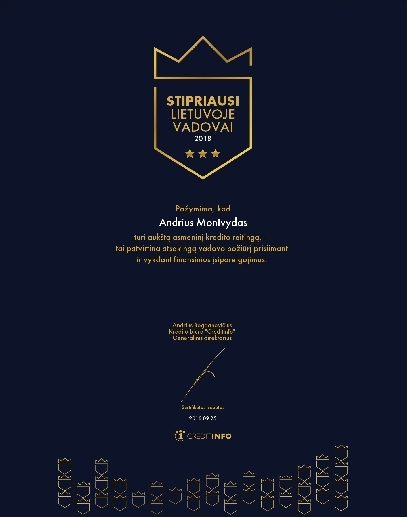 Lithuanian credit score bureau “Creditinfo” since 2016 has annually provide high credibility rating certificates for “Statybos Projektų Valdymo Grupė” UAB (SPVG) and it’s CEO Mr Andrius Montvydas. 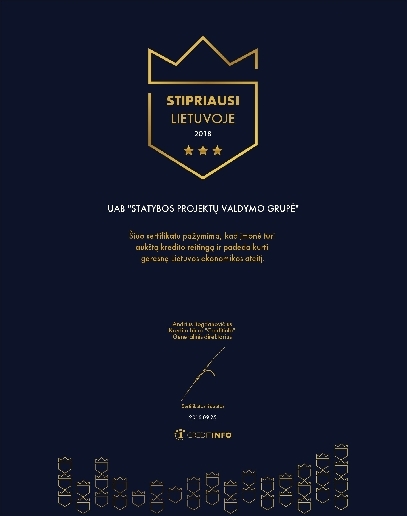 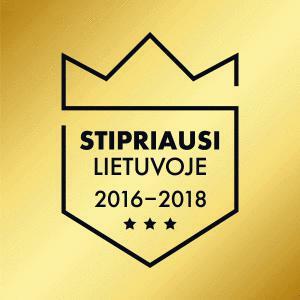 Such a high rating have only 4 % of all the Lithuanian companies. 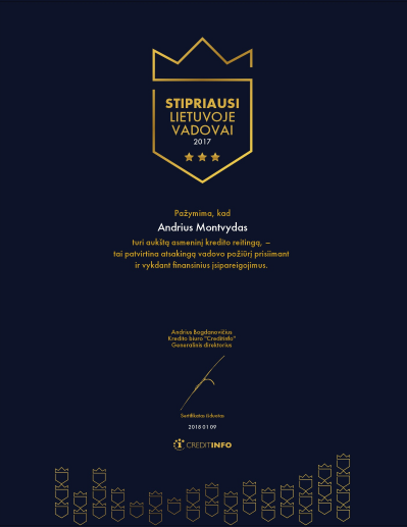 CEO’s ranking is based on personal profile and company’s history. 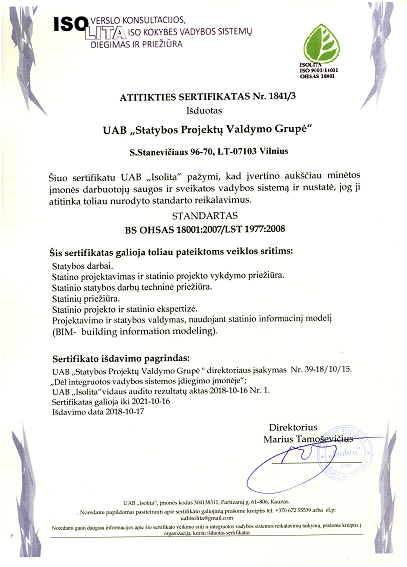 construction supervision company in Lithuania and Baltic states. 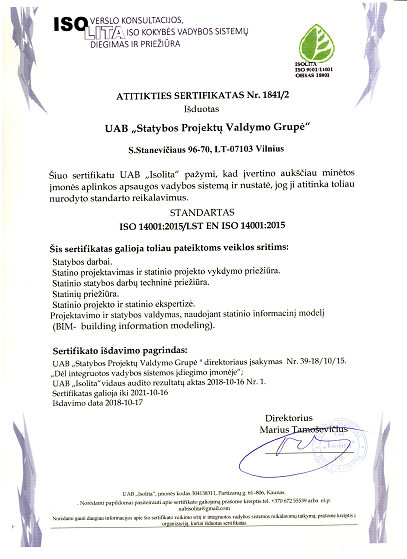 Clicking on the images below will open the certificates in PDF format. 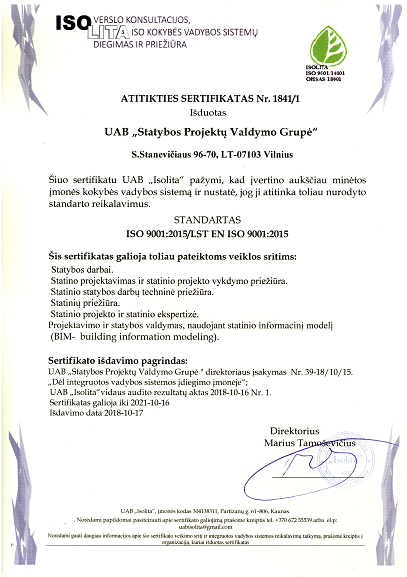 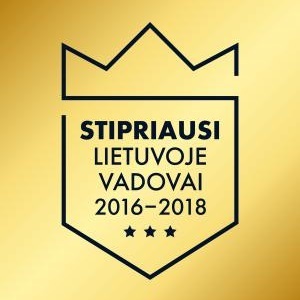 „ISOLITA“ UAB, which provides business management consulting and implementation and maintenance of ISO quality management systems certified Conformity Certificates to “Statybos projektų valdymo grupė” UAB in 2018.